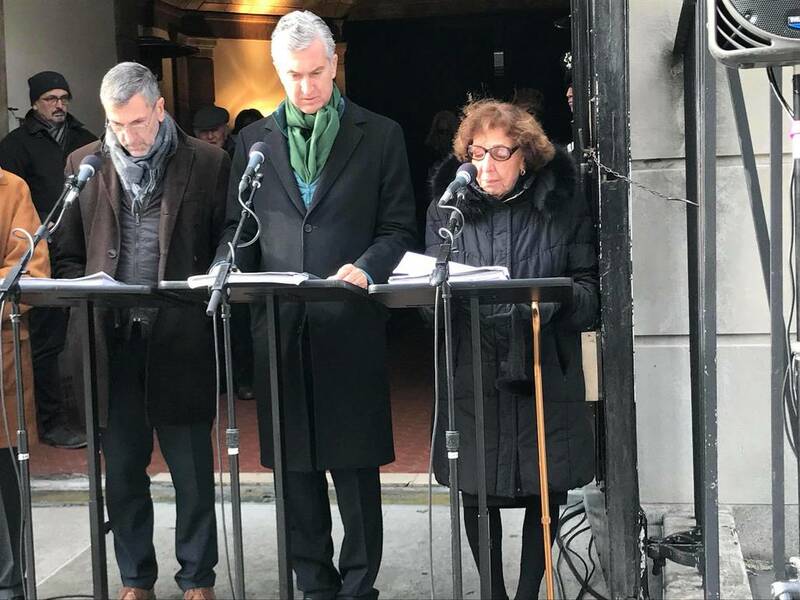 The names of Jewish men, women and children deported from Italy to concentration camps during World War II fly in the gelid air in front of the Italian Consulate. 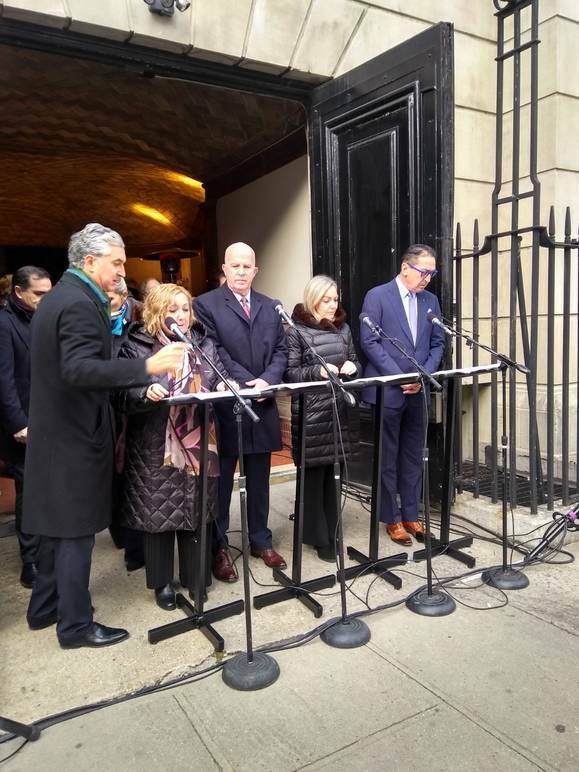 Sometimes those names get lost in the noise of traffic on Park Avenue. 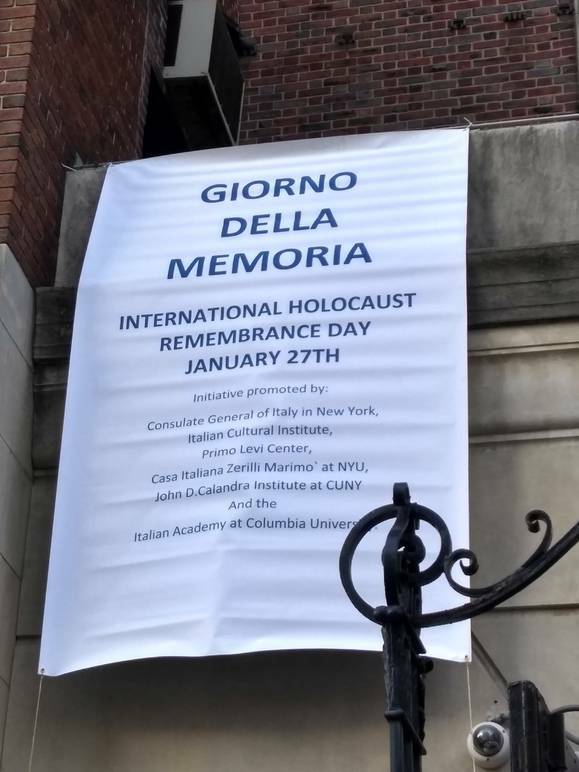 “We want to demonstrate how Italians in New York cares about remembering what happened. 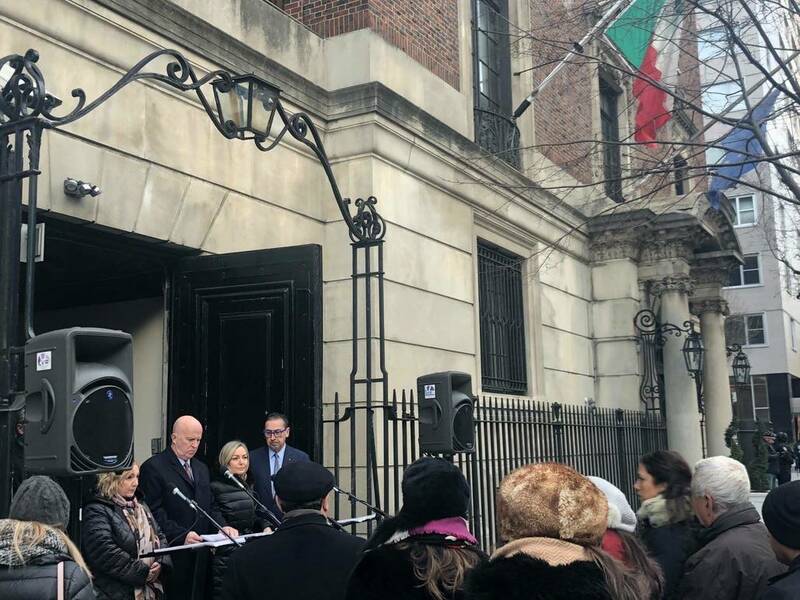 This year, we are particularly proud of having shared this day with the New York City Commissioner and Italian deputy minister of Foreign Affairs,” says Francesco Genuardi, Consul general of Italy in New York and “host” of this special day. “It is not something that we should remember only today but every day. 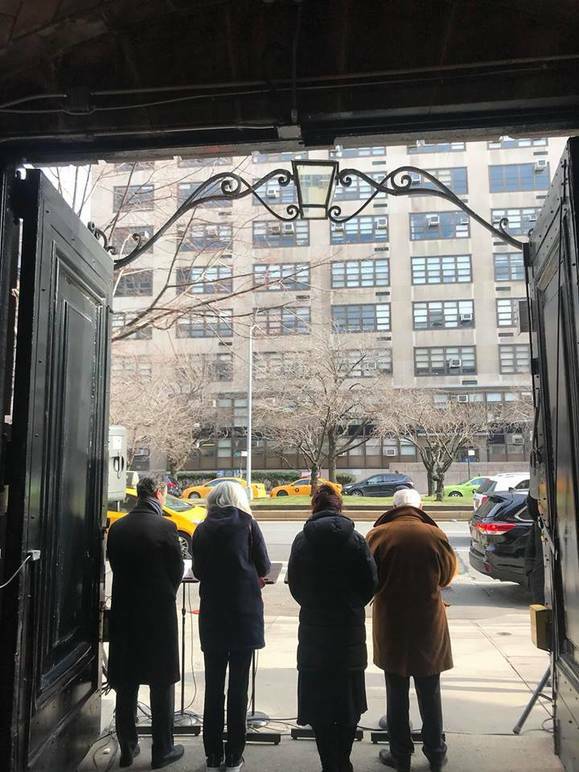 And it’s important not only for New Yorkers but for everybody in the world to remember the Holocaust. 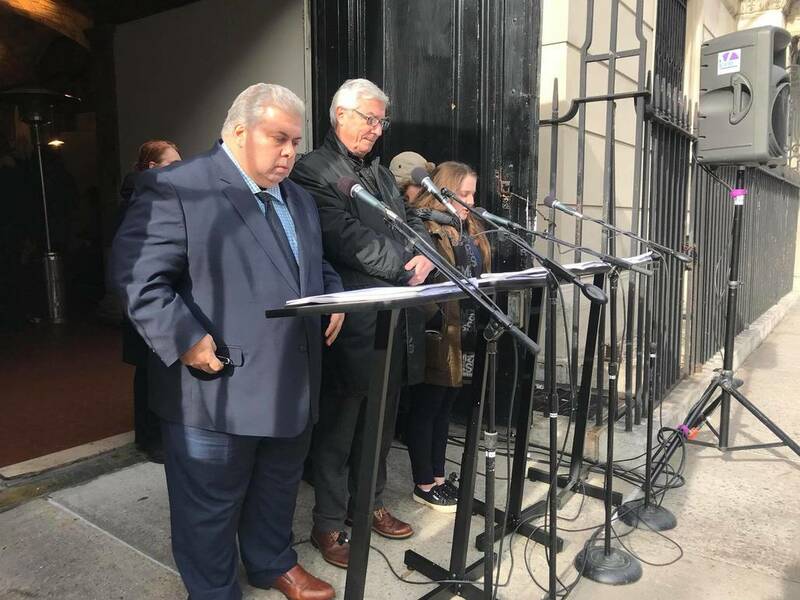 If we remember, we can make sure that those things won’t get repeated,” comments James O’Neill, New York City Commissioner and one of the first readers, before disappearing in his black car. Yet, we just heard that it is important to remember not to repeat and that indifference can kill too. 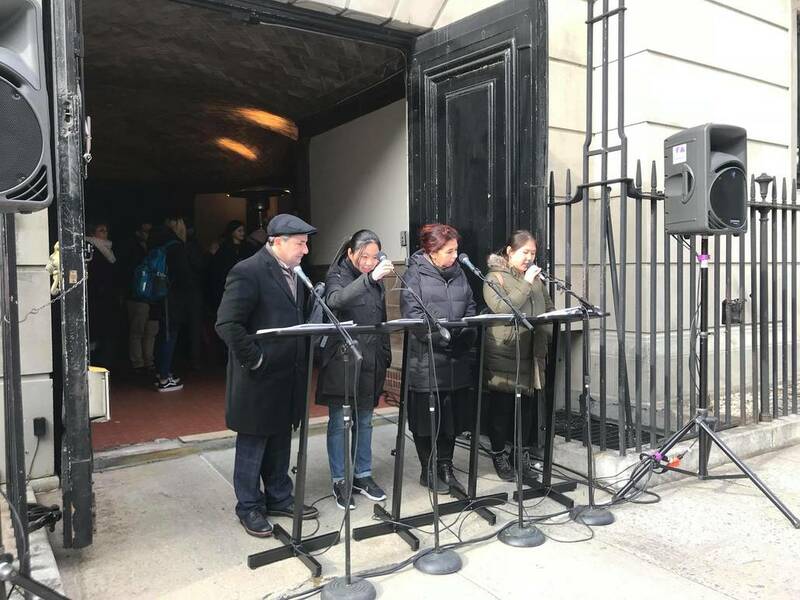 Jack Sal, artist and author of the exhibition “Deportees” first presented at the Italian Cultural Institute in 2010, seems to indirectly answer to our doubts - the child of a Holocaust survivor, he is waiting in line to read the names. “I think that in Italy there is this mentality of the ‘others:’ it is happening to them and not to us.” Sal says, “it is extremely important that we exercise the memory of the deportees especially in Italy because in general in New York and in the world people don’t really know what happened to the Jews in Italy. For example, the number of deportees in this country was much bigger than in other parts. Also important is the idea of creating subcamps in Italian cities happened throughout Italy and not just in a single city. So this idea of the “campo sotto casa” was real. If you were living in a little city in Tuscany or in Milan or in Rome, you knew about people who were gathered.” But nobody, or very few, dared to say anything because after all, it was happening to the ‘others’. This dangerous attitude should be corrected since childhood and the best way to do so is called identification. Maria Palandra, the principal of La Scuola d'Italia Guglielmo Marconi, tells us that at La Scuola the students worked on a short video in which fascism and Nazism were compared to bullyism. “A reality that they can live every day. Only in this way could they really understand the feelings of those who get excluded,” says Palandra. 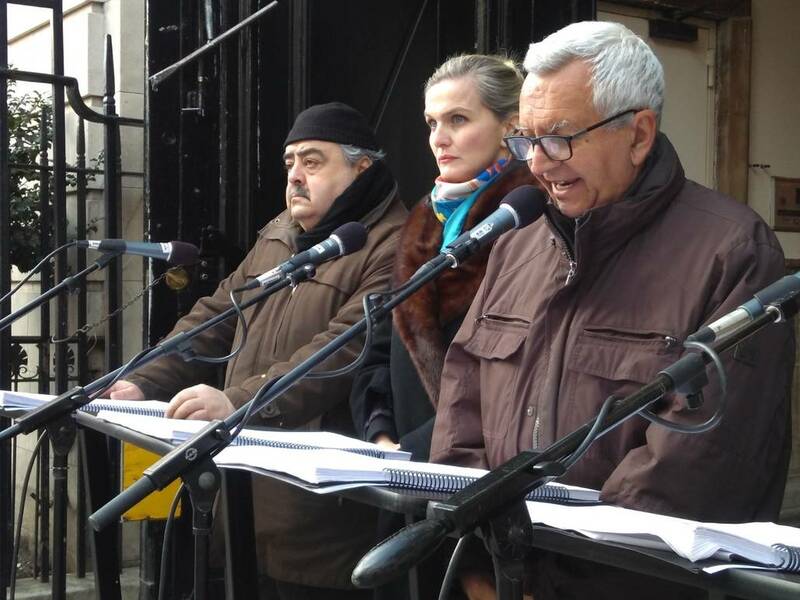 Natalia Indrimi, Executive director at Centro Primo Levi in New York, warns against the risk of indifference and lack of awareness. She believes that we can learn from the mistakes of the past: "We need to think of how people behaved. They knew but they didn't foresee what would have happened. They had all the information to understand, yet they decided to be impenetrable."